Need we say more? It's a night where the whole room will be going back to black. 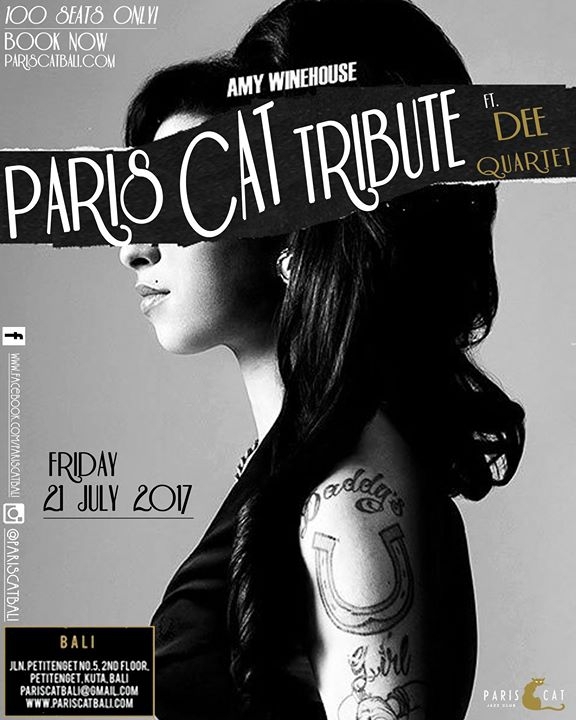 Paris Cat will be sending 100 audiences flying in Amy's honour with Dee Dice quartet bringing us up to no good. All shades of black accompanied by a bottle of red and Cupids. Stay tune on @pariscatbali Instagram page to win complimentary tickets & a bottle of wine.